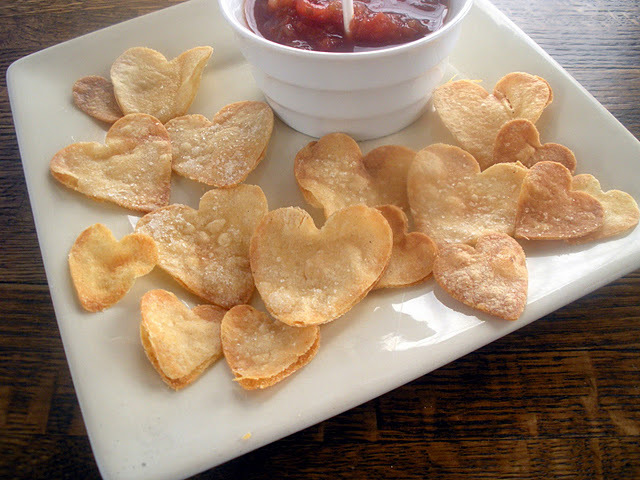 If you are looking for a fun way to serve up some chips with your Valentine's lunch check out these heart shaped tortilla chips from Give Everybody Nice Sweaters. Even red Salsa is perfect for Valentine's Day. 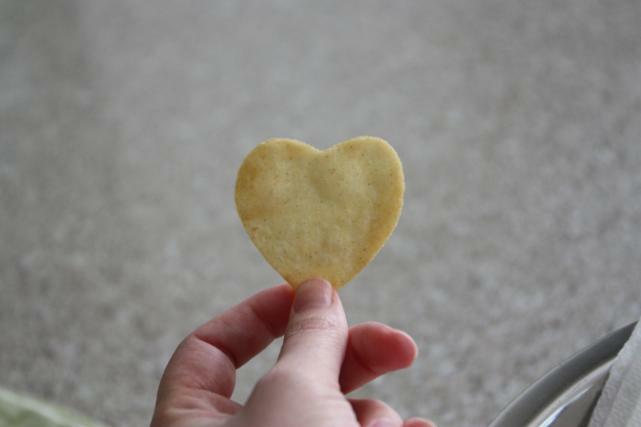 If you don't want to fry them, you can check out the baked heart shaped tortilla chips over at The Best of Everything. Not a tortilla chip fan? You could make homemade pita chips (cut into heart shapes instead of wedges of course) and serve it with red pepper hummus. And you could do the same thing with a potato too if you are in the mood for heart shaped potato chips with your lunch or dinner. 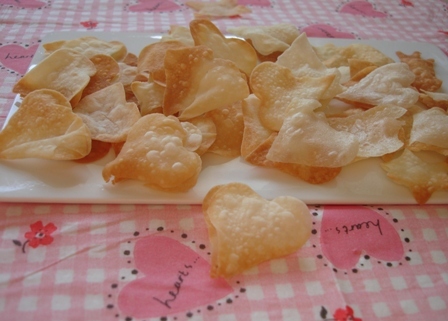 Aegean Eating will show you how to make them as well as heart shaped filo dough chips. 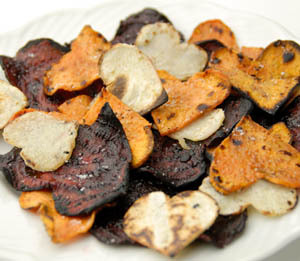 And if you want a healthier Valentine's day option, grill up some heart shaped sweet potato chips (along with some taro root and beets) for some colorful and healthy heart chips from Kalamazoo Outdoor Gourmet. Brilliant idea! I always make my own chips in our deep fryer.. I am So doing this!! I love these!!! 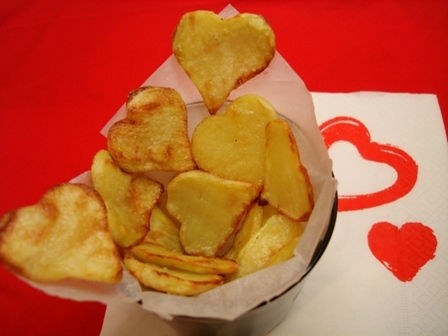 I love making homeade apple chips, what a cute way to turn them into a cute valentines treat! I love al the different options though! And a reader even suggested apple chips, which I can't wait to try!